KNOXVILLE, Tenn. — It's Bristol, Baby! Chad Finchum of Knoxville is looking forward to racing at Bristol Motor Speedway this weekend, after all it's his home-track where he grew up attending NASCAR racing with his family. These days he's no longer a spectator, the 23-year-old now competes full-time in the NASCAR Xfinity Series. Finchum will be running in the NASCAR Xfinity Series Food City 300 on Friday, Aug. 17 driving the Smithbilt Homes/The Preserve at Oak Ridge/Electrical Service Co./Truan Equipment/Knoxville Unique/SESCO Lighting/A-1 Finchum, Inc. Heating & Cooling/MBM Motorsports/No. 40 Toyota Camry. Back in the spring at the "World's Fastest Half-Mile," Finchum pulled double-duty as he made his Monster Energy NASCAR Cup Series debut in the Food City 500, and also competed in the NASCAR Xfinity Series Fitzgerald Glider Kits 300. Finchum has also visited victory lane at Bristol Motor Speedway, having won the NASCAR K&N Pro Series Pitt Lite 125 in 2016. Before Finchum competed in seven NASCAR Xfinity Series races in 2017 for MBM Motorsports, he enjoyed tremendous short-track success racing before fans in East Tennessee and Southwest Virginia, winning NASCAR Whelen All-American Series championships at both Kingsport Speedway and Lonesome Pine Raceway. “This being my first full-season racing with the NASCAR Xfinity Series, it's been very special getting to race at all the tracks on the circuit," said Finchum while making a promotional appearance for Bristol Motor Speedway leading up to the Food City 300. "The starts I had last season and up to now this year, I've had the opportunity to race at Daytona International Speedway, Indianapolis Motor Speedway, Charlotte Motor Speedway, Las Vegas Motor Speedway, Atlanta Motor Speedway, Texas Motor Speedway, Homestead-Miami Speedway, and on the historic road course at Watkins Glen International. I also can't wait to race at the legendary Darlington Raceway over the upcoming Labor Day holiday weekend. "But for me, personally, it all really comes back around full circle in getting to race at Bristol Motor Speedway - my home NASCAR track. I grew up as a boy attending racing with my family at BMS. I raced in the NASCAR Whelen All-American Series at Kingsport Speedway and Lonesome Pine Raceway, winning a lot of races at those tracks and also championships. Stock car racing fans in East Tennessee and Southwest Virginia know who I am, because they've watched me race locally as I started out on the journey to get where I'm currently competing - in the NASCAR Xfinity Series. Racing at all the tracks across the country where we go, I guess you could say I'm kind of a no-name, being this is my rookie season and fans in the Northeast, Midwest and out West don't know who I am. But when I get the opportunity to race at Bristol Motor Speedway, my family and friends from around the region get to come watch me race and that's just an awesome feeling, knowing I've got support from so many people who have watched me race for a long time." Finchum also has the support of Carl Long with MBM Motorsports, and from crew chief Brian Keselowski. “I'm thankful to Carl Long for the opportunities he's given me to drive for MBM Motorsports," Finchum said. "I'm also excited about the relationship I've developed with crew chief Brian Keselowski since he came on board with us at MBM. Brian's very knowledgeable about race cars, he really has helped with our race team. He comes from a racing family, with both his father (Bob) and brother (Brad) very accomplished drivers." Finchum thinks the MBM Motorsports No. 40 Toyota Camry he'll be chauffeuring at Bristol Motor Speedway is a "good piece," and he's optimistic for getting his best finish of the season. "We've really stepped our (racing) program up once we got into the summer months, both with the cars we're running and also with the engines," Finchum stated. "I'll admit, we kind of struggled in the early part of the season with both the reliability of our equipment and also with me being a rookie racing at tracks for the first time. "We're bringing what I'm going to say is our best car to Bristol Motor Speedway this weekend. But racing at the 'World's Fastest Half-Mile,' things happen so quickly. It's so easy to get caught up in deals (wrecks) triggered by other drivers. Having good luck is definitely crucial when racing on those high banks. I really think, let's say I'm very hopeful - of being able to get my best finish of the season Friday in the Food City 300." Leading up to the Food City 300, Finchum has been busy making public appearances around East Tennessee for Bristol Motor Speedway, meeting with the media in Knoxville, and with fans and media in the Tri-Cities (Bristol, Johnson City and Kingsport) for Red, White and Bristol gatherings. ... Chad is scheduled to meet with fans Thursday, Aug. 16 at Food City Family Race Night in BMS' Hospitality Village between 5-6 p.m.
NASCAR Xfinity Series practice at Bristol Motor Speedway begins Thursday, Aug. 16 with two sessions scheduled: 10:05 a.m. - 10:55 a.m., and from 1:35 p.m. - 2:35 p.m.
NASCAR Xfinity Series qualifying will take place Friday, Aug. 17 at 3:40 p.m., with running of the Food City 300 set for 7:30 p.m. on NBC Sports Network. Live radio coverage will be provided by Performance Racing Network and SiriusXM Satellite NASCAR Channel 90. ... You can also visit the Bristol Motor Speedway website at www.BristolMotorSpeedway.com. Finchum is thankful for the support from Smithbilt Homes, The Preserve at Oak Ridge, Electrical Service Co., Truan Equipment, Knoxville Unique, SESCO Lighting, and A-1 Finchum, Inc. Heating & Cooling on the MBM Motorsports/No. 40 Toyota Camry for the Food City 300 at Bristol Motor Speedway. 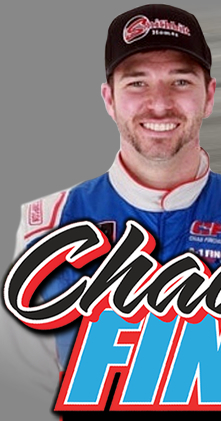 For more information about Chad Finchum marketing partners visit the respective websites: Smithbilt Homes (www.SmithbiltHomes.com), The Preserve at Oak Ridge (www.ThePreserveAtOakRidge.com), Truan Equipment (www.TruanEquipment.com). Knoxville Unique (www.KnoxvilleUnique.com), SESCO Lighting (www.SescoLighting.com), and A-1 Finchum, Inc. Heating & Cooling www.A1Finchum.com). 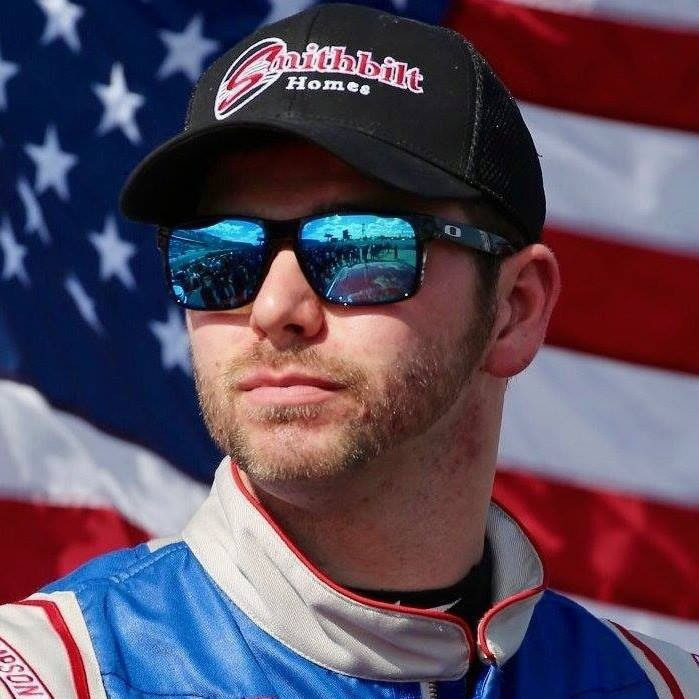 To learn more about possible sponsor opportunities with Chad Finchum in either the Monster Energy NASCAR Cup Series or NASCAR Xfinity Series, contact James Finchum at (865) 740-3535. To keep up with Chad Finchum’s racing visit the website at www.ChadFinchum.com, on Facebook at Chad Finchum Racing, and Twitter @ChadFinchum.